Five union leaders unfairly terminated for union activities at the Bagan Hotel River View more than a year ago have been fully reinstated and management has entered into good faith negotiations with the union. 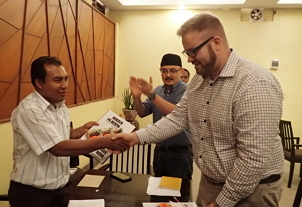 The union is a member of the independent Hotel Chitthu Township Level Labour Organization Bagan-Nyaung Oo (HLOB) which is affiliated to the IUF. Last year the IUF launched a global campaign in support of the union and filed a complaint with the ILO concerning violations of the right to freedom of association. 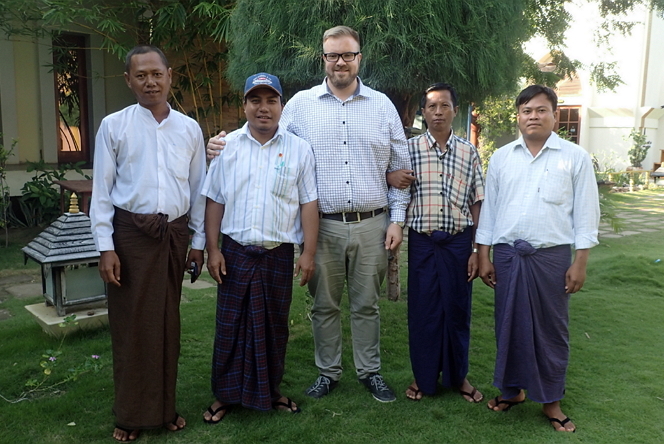 With the tremendous courage of union members in Bagan and the vital role played by the HLOB as an independent trade union federation of hotel workers, the reinstatement of the five union leaders marks a critical turning point in the recognition of trade union rights in Myanmar. Several local organizations expressed their solidarity, mobilizing in support of the campaign for reinstatement. The Secretary of the Bagan Hotel River View Union, U Myint Oo, who is one of the five reinstated leaders, expressed thanks to all IUF members around the world for their support. "There is now greater respect for our union both from the employer and the government, and we've won back the space we need to advance the rights and interests of our members," said U Myint Oo. The IUF Asia/Pacific Regional Secretary, Hidayat Greenfield, welcomed the reinstatement of the union leaders at Bagan Hotel River View, commenting that: "With the rapid growth of tourism in Myanmar, the HLOB and IUF continue to campaign for responsible, ethical and sustainable tourism in which respect for worker and trade union rights and sustainable jobs are vital. The reinstatement marks significant progress in this direction."